Size 12"x16" which fits most baby/toddler or travel size pillows. It has a back envelope closure, therefore smooth and flexible. Comes with a light organza pouch therefore makes a gorgeous baby shower gift. 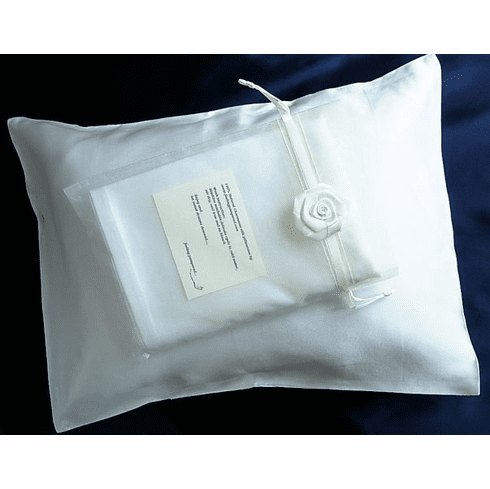 We developed this special size due to popular demand as customers who bought and love our silk pillowcases likes to pamper their baby too! !